Heineken Nederland is one of the pioneers of Green Circles (Groene Cirkels), a partnership to make the region around the Heineken brewery a global example for a circular economy and area of sustainable development. The driving force behind this collaboration is the development of Heineken’s Zoeterwoude brewery into a circular climate neutral company. A pleasant living environment where knowledge is developed for a circular society.These are the ambitions that Green Circles is committed to. It does this by taking nature as a starting point, to realise programmes on the topics of energy, water, raw materials, mobility and living environment. 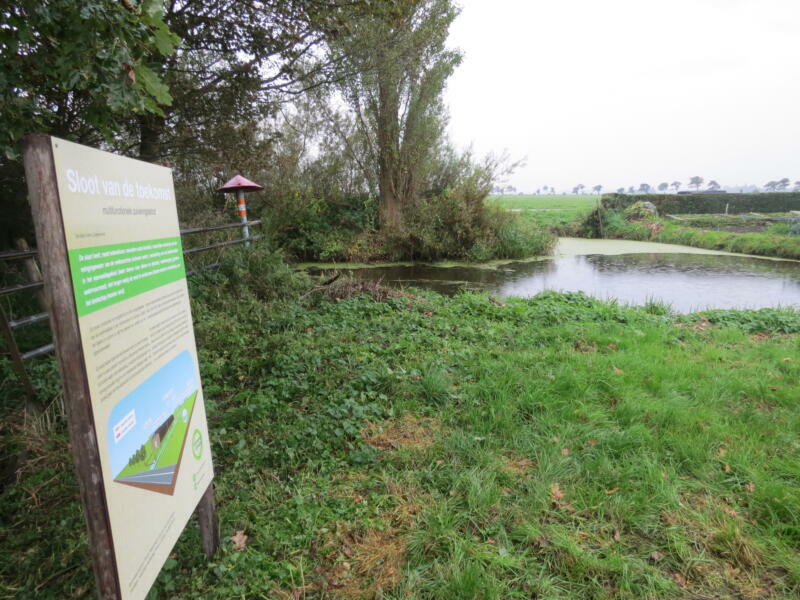 In the large local farm in Zoeterwoude, ‘Die Barle Farms’, a futuristic waster stream, was created in 2015. This multi-functional water purification stream is a pilot for Green Circles. It is aimed to be an attractive way to ensure water quality, better taste and more biodiversity. Thanks to Green Circles, this process is a collaborative effort between the farm owner, the specialists from the local water board, biologists from the University of Wageningen, technologists from Heineken, and provincial policymakers. The multi-stakeholder partnership, a typical Dutch approach, is providing valuable insight into how to turn this water stream from an experiment into practice. As expected, since it’s a live experiment, a lot of hurdles are to be crossed. If it manages to do that, it may very well be a best practice for Holland and beyond. Green Circles serves as a connecting hub for companies, entrepreneurs and knowledge institutions in the region working for the circular economy; to realise own and common sustainable ambitions. By connecting the parties, the province’s sustainability ambitions are accelerated and unique, world-class projects are developed. The partners in the Green Circles initiative are multinational Heineken, governmental partners Province of South Holland and Rijnland District Water Control Board and knowledge partners Wageningen Environmental Research (Alterra) and Naturalis Biodiversity Center. Heineken Zoeterwoude has a lot of experience with reuse of its waste streams and currently recycles 97% of it with its suppliers and customers. Green Circles is researching how the residual and by-products of the brewery, such as waste stream, bostel or phosphate, can be reintroduced into the cycle. Green Circles will use this knowledge to improve the reuse of residual flows, with and for companies int he province of Zuid-Holland. "Heineken Zoeterwoude currently recycles 97% of its waste streams with suppliers and customers"
Letter of Intent for a Green Corridor Green Circles is the motor behind an agreement that has to be signed by a large number of companies, governments, and research institutes to realise one of the first Green and sustainable corridors in Europe from the Heineken brewery to the Port of Rotterdam and the infrastructure in between. The partners develop projects around the circular themes such as emission-free water transport, bundling material flows, sustainable container terminal Alpherium and a greener countryside. The Green Circles initiative aims to be a world class example.